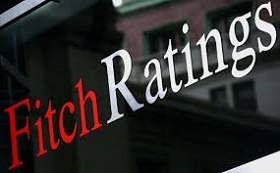 Fitch Ratings has affirmed Lithuania's long-term foreign-currency issuer default rating (IDR) at "A-" with a positive outlook after positively assessing Lithuania's public finance and economic situation, informed LETA/BNS. The credit agency's experts state that Lithuania's ratings balance strong economic institutions and sound public finances with a vulnerability to external shocks and a lower GDP per capita than rating peers, Lithuania's Ministry of Finance said. The positive outlook reflects increased confidence that the policy framework will continue to underpin macroeconomic stability and mitigate the economy's vulnerability to external shocks, and falling government debt/GDP underpinned by general government surpluses. The positive outlook also shows that the credit agency is ready to upgrade Lithuania's credit rating over the upcoming two years, if growth and other monitored indicators will maintain a positive tendency and will not significantly deviate from the credit agency's forecasts.